In QlikTip#26 I announced to write some details on how to configure “Associative Search” in QlikView 10. First of all I’d like to bring the following article on “Associative Search” to your attention which has been posted in the new QlikView 10 WIKI section on community.qlikview.com. The standard search mode has dropped the default ‘*’ (wildcard) to frame the search string. This means a user can now simply type the words or phrases of interest. Words separated by a space are searched using a logical OR, meaning they can appear in any order in the target value. 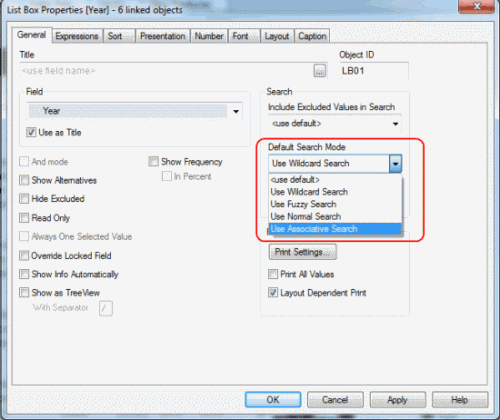 Phrases can be searched by framing the phrase in “”, forcing QlikView to find an exact string match. 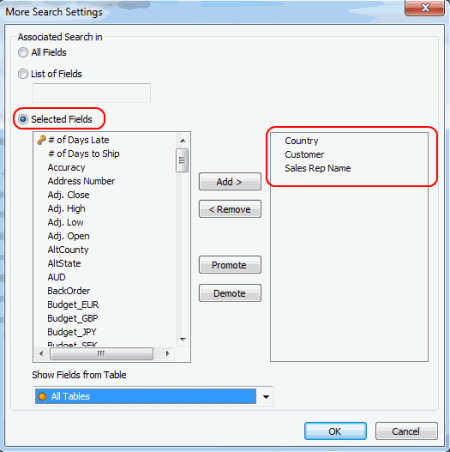 This brings QlikView in line with most commonly accepted search engine functionality. 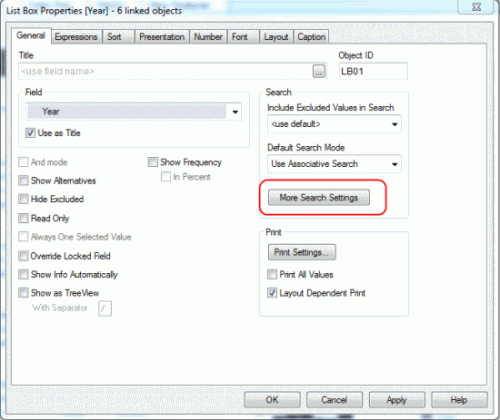 List Box properties to change the "Default Search Mode" to "Use Associative Search"
After doing so “Associative Search” is active for this list box. You can define a list of fields built with an expression. The fields should be separated with commas (Note: this is so far not documented in the reference manual, but it works … :-)). Selecting some fields to be included in the associative search. and tagged associative search, QlikView 10. Bookmark the permalink. Both comments and trackbacks are currently closed.